Paratyphoid, Paramyxovirus, Canker, Cocci, Worms, Adeno-Coli Syndrome, Ornithosis and Candida. 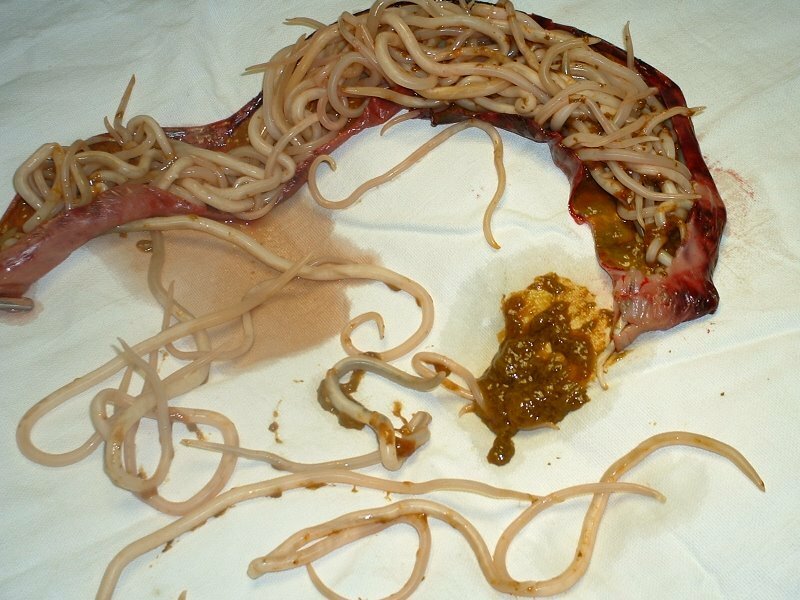 Paratyphoid can be caused by un-sanitary conditions and the contamination of feed by rodents. 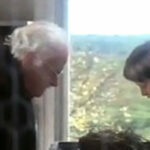 It also can occur when introducing new pigeons into the loft, without checking first if they are healthy. Before putting new pigeons into the loft, isolate and observe them for 5 days and put them on a preventive medication. Loss of condition and weight. Swelling of the leg and wing joints. To prevent Paramyxovirus from coming into your loft, it is recommended that all birds are vaccinated at least once a year. Young birds should be vaccinated at 4 to 8 weeks of age, but no later then 4 weeks before the young bird race season. Re-vaccinate all birds 4 weeks before the breeding season. 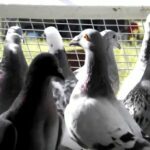 Once a pigeon has Paramyxovirus, there is very little you can do, vaccinating at this point will not do any good. 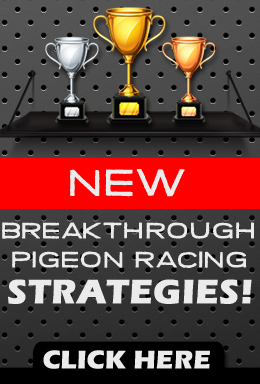 We recommend that those pigeons that have the disease are treated with La-Sota, that has shown some success. This can be done individually by putting a drop in each eye for three days, or putting it in the drinking water for flock treatment. *NOTE: If a visible Paramyxovirus problem occurs, you may try the following remedy. 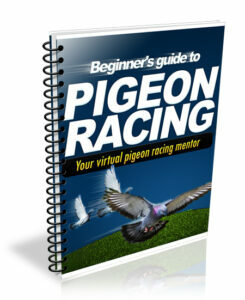 This was recommended by several of the leading pigeon veterinarians in Holland and Belgium. Vaccinate the effected pigeon 3 x in one week, with PMV-1 killed virus vaccine, 0.5 cc per shot in the neck, on Sunday, Wednesday and Sunday. 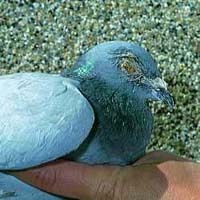 After treatment, keep pigeon isolated for an additional week, to make sure all symptoms are gone. Remember, that the bird will always remain a carrier. A yellow cheesy substance, generally seen in the mouth, however 10% of Canker is external, while 90% is internal. Breaks out at any age, also in youngsters still in the nest. It is caused by a flagellate, living on the mucous membranes of the throat and the crop. This problem can be caused by unsanitary conditions in the loft and letting your pigeons go picking around on the ground. Cause generally are un-sanitary loft conditions or letting the pigeons, pick around on the ground. They will maintain appetite, as the worms consume most nutrition in the pigeons system. Over 50% of young birds have problems with the Ornithosis complex. Loss of desire to fly, loss of pigeons in the races and poor results, both with old and young birds. Swollen eye lids & wet eyes. 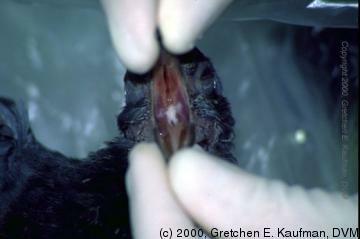 In the last 10 years, this has been the biggest problem in young birds from 6-9 months in age. Up to 70% can be infected and show the symptoms. The disease is a combination of an Adeno-Virus, which opens the way for the suddenly aggressive E-Coli bacteria, often a Circo Virus is also involved. 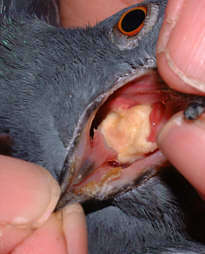 The same symptoms can be seen in Paramyxovirus, however in that case the pigeons drink more and may have some central nervous problem, like twisting of the head. Although there is no known cure for Adeno and Circo Virus. Several of the products shown below, have proven somewhat effective. Dying in matter of days. is mixed with the following product. When problems occur in the loft, the first thing a fancier looks for is signs of the more common problems like Canker, Cocci, Worms, Paratyphoid, Respiratory, Ornithosis Complex, Adeno Virus or E-Coli. Many will quickly grab for a medication and do what I call ?blind? medicating for these diseases in a very short time. This can destroy the healthy intestinal good gut bacteria increasing the chance for bad germs to take hold. This can cause a condition named Candida, which is a mould and yeast infection of the crop and the intestines. Poor performance in the races. Losses in Training and Races. I have two of my homers that recently show two problems physically, one walks and seems normal, but now won’t fly. Another, can fly, but only walks a little the takes a roosting position. Can someone help identify what might be happening? My newborn baby peggion is not pooping what should I do? My pouters poops been very watery any tips? One of my pigeon lays eggs without covered shell and one of them started twirling suddenly and unsteadly ….how can it be treated ….???????????? ?